Seriously? OMG! 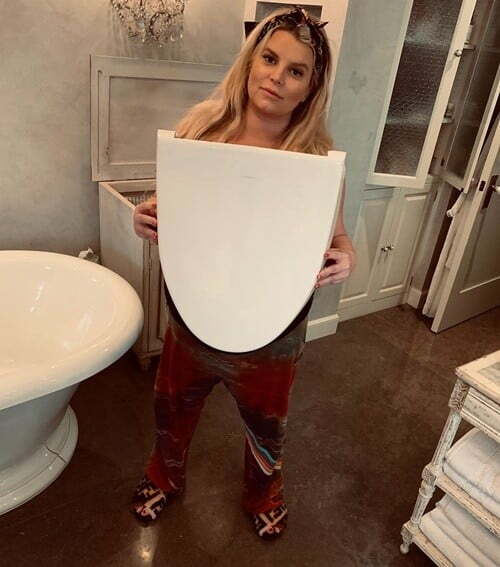 WTF?Pregnant Jessica Simpson broke her toilet seat - Seriously? OMG! WTF? Jessica Simpson is very pregnant. So pregnant that when she leaned back on the porcelain throne, she broke her toilet seat in two. Which means her pregnancy muscles are stronger than her husband’s. That should make the former football player a little embarrassed because he has not done that yet. Granted, if Eric Johnson had his way, he would choose to break the seat off instead of the cover. This way he won’t get yelled at for forgetting to put it down.